Time and time again, genealogists find families living near each other who are descended from the same ancestor, yet seem not to acknowledge each other’s existence or know of their relationships. So it is with two Hiram Hagenbuch families who lived not more than 10 miles apart during the late 1800s. Much has already been written on this website about Hiram Hagenbuch born in 1847. 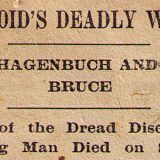 He married Mary Ann Lindner, lived outside of Milton, Pennsylvania, and died of cholera in 1897, leaving a large family that mostly settled in Montour County, PA. At the same time, another Hiram Hagenbuch was living nearby in Montgomery, PA. This Hiram Hagenbuch was born on July 22, 1842. His family line is: Andreas b. 1711, John b. 1763, Charles b. 1811. Charles was the youngest of eight sons born to John and Maria Magadalene “Dreisbach” Hagenbuch. 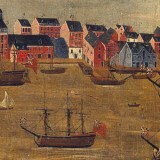 His father, John, was the youngest son of Andreas, who immigrated to Pennsylvania in 1737. Charles was married to Elizabeth Hess. Elizabeth was the sister of Samuel Hagenbuch’s wife, Susanna Hess. Samuel (b. 1806) was the brother of William Hagenbuch (b. 1808), who was the father of the other Hiram (b. 1847). Charles and Elizabeth had nine children: Josiah, b. 1830; Artemus b. 1832, d. 1862, married to Julia Myers; Henry W. b. 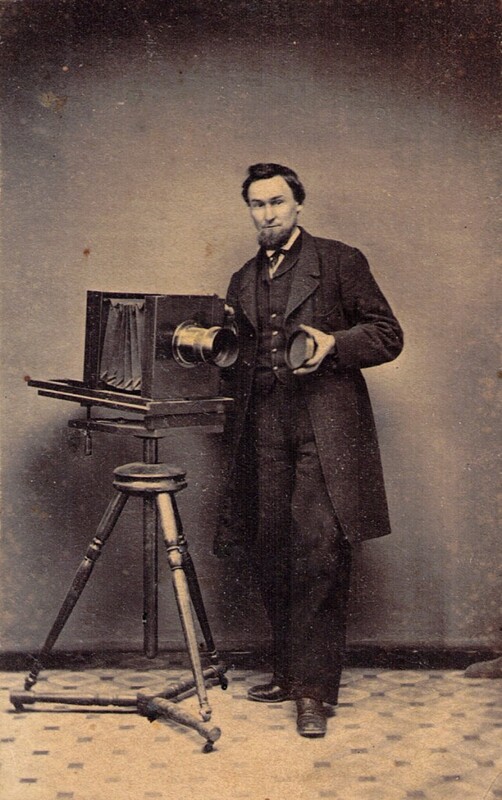 1834, d. 1893, a Civil War veteran, never married and had a photography business in Watsontown, PA; Matilda b. 1838, d. 1893; Lavina b. c.1841, married to Cornelius Scales; Hiram b. 1842, d. 1905, married Mary Orner; Selicia b. 1844, d. 1910, married to Daniel Menges; Sarah b. c.1849, married to Henry Dieffenbach; and Emma Jane b. c.1851, d. 1938, married to John Troxell. 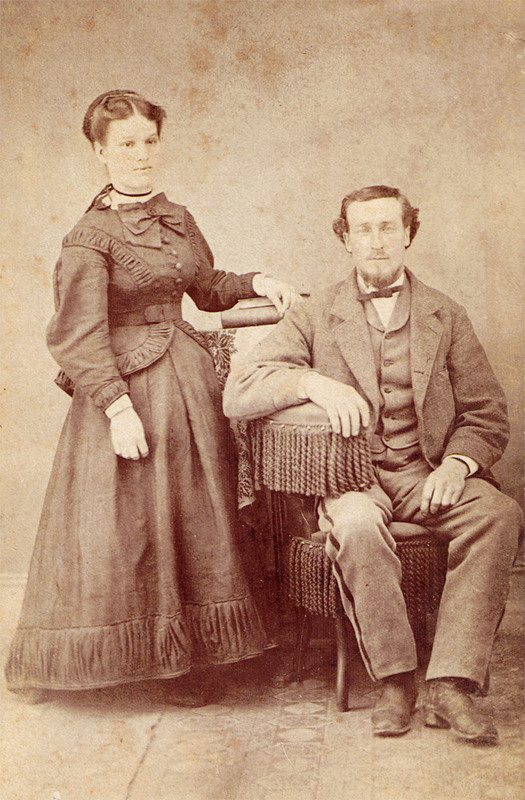 Hiram married Mary Orner in 1864. He died on July 16, 1905. Mary “Orner” Hagenbuch was born May 23, 1848 and died March 23, 1913. They are buried in Fairview Cemetery, Montgomery, PA. They had 5 children: William Henry b. July 24, 1870 and d. 1938, married to Clara Dietrich; Cora M. b. Feb. 22, 1874 and d. 1958, never married; Edmund Perry b. Feb. 26, 1876 and d. 1961, married in 1914 to Maude Hunter; Emma b. Aug. 25, 1878 and d. 1946. married to William Smith; and RD Hiram b. Sept. 2, 1884 and d. 1962, married to Pauline Housel. 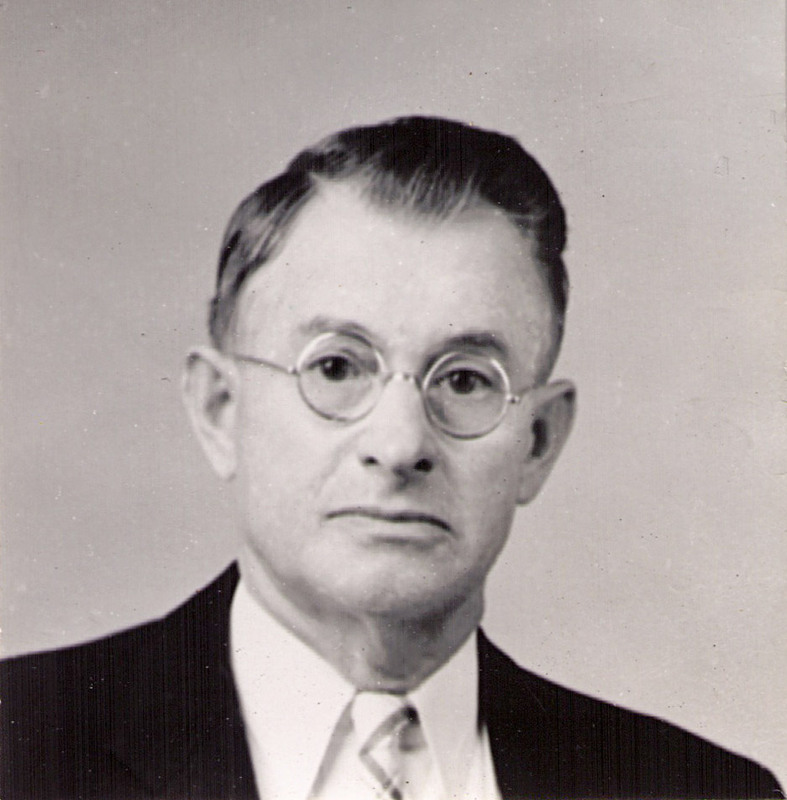 In the late 1970s the information on these families was gathered from Edmund and Maude Hagenbuch’s daughter, Lauretta Hagenbuch, who was living in Williamsport, Pennsylannia. 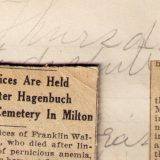 Additional information came from RD Hiram and Pauline Hagenbuch’s daughter Roberta “Hagenbuch” Buck who was living in Watsontown, PA. Lauretta and Roberta were first cousins as well as the only children of their parents. 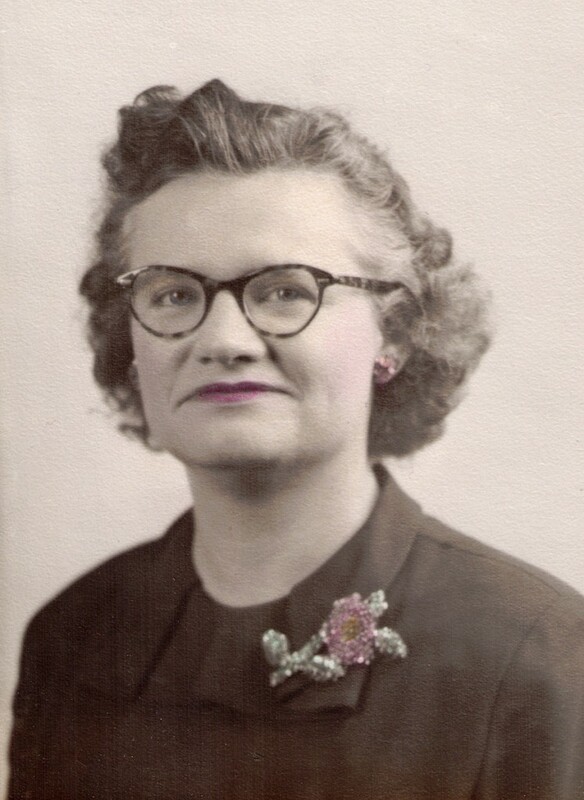 Lauretta Maude Hagenbuch was born Jan. 4, 1915 in Montgomery and died in 1981. She was not married and is buried at Wildwood Cemetery in Williamsport. Her career included being church organist and secretary at an Episcopal church in Williamsport. 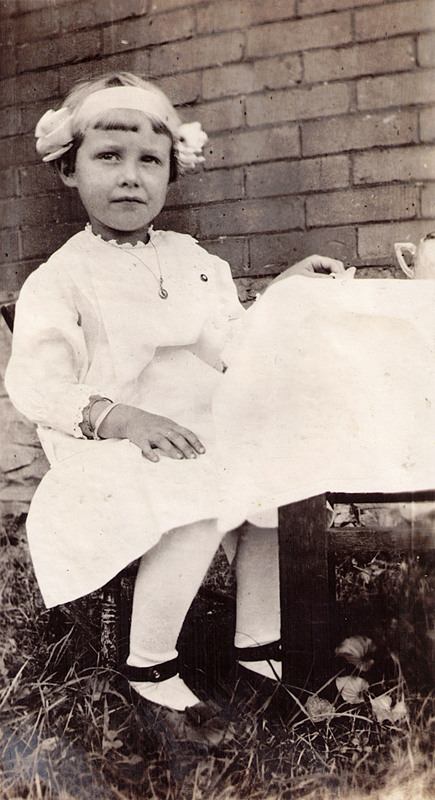 Roberta Mary Hagenbuch was born on Jan. 9, 1915 in Montgomery and died in 1988. 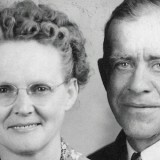 She was married in 1937 to Richard “Bucky” Buck, and they lived in Watsontown. They are buried at Fairview Cemetery in Montgomery and had three sons: Richard, Robert, and Joel. Roberta’s father’s actual first name was the two initials of “RD”. Coincidentally, he was post master in Montgomery for many years. 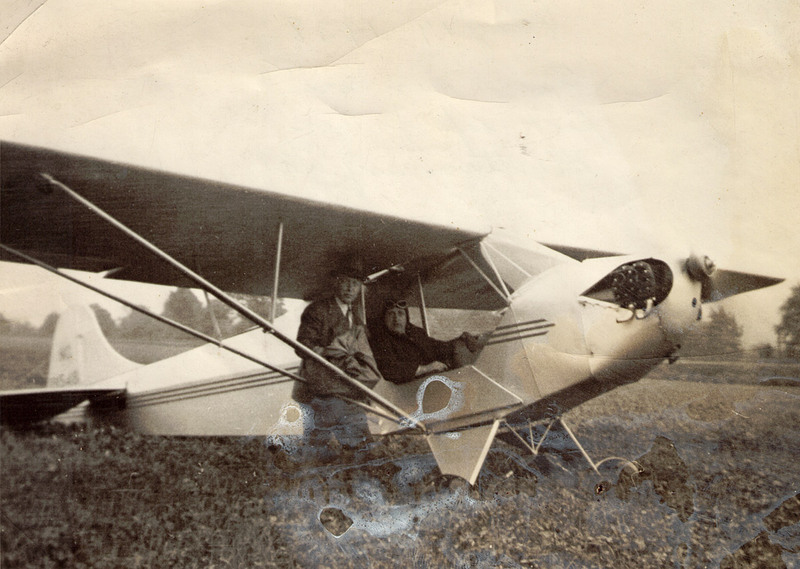 RD Hiram Hagenbuch, First Airmail Pickup in Montgomery, PA. May 1938. In the 1970s, I was doing genealogical research by looking through telephone books for the addresses of Hagenbuchs whom I did not know. I asked other relatives across the United States to do the same and send me their information. I would then contact those “new” relatives, get information from them, and place them in the family lines which I had already established. My genealogical records grew by leaps and bounds in this way. I was living in Herndon, PA at that time, and my immediate Hagenbuch family (the Hiram Hagenbuch b. 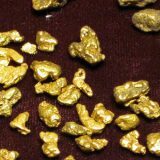 1847 line) was located mainly in Montour County, PA. In 1978, I found Lauretta Hagenbuch of Williamsport through the telephone book. I remember visiting her a few times before her death in 1981. She led me to her first cousin, Roberta, who amazingly lived in Watsontown. Her son, Joel, had even gone to Warrior Run High School where many of the Hagenbuchs and allied cousins had gone to school. Yet, nothing was ever said about the family relationships. 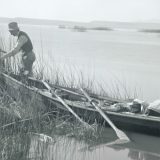 For 100 years or more both of the Hiram Hagenbuch families had lived in close proximity yet never seemed to realize they were related. My wife, Linda, and I visited with Roberta and her husband Bucky several times. She shared family stories and photos with me. (Unfortunately, I don’t have a photo of Roberta as an adult.) 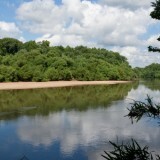 We even spent a day on the Susquehanna River near Montgomery on their pontoon boat and had them over to Linda’s family cabin for a day. When my family began to grow and I was employed as an elementary principal in Dillsburg, PA, I lost touch with Bucky and Roberta. I was briefly in contact with Bucky after Roberta’s death in 1988. 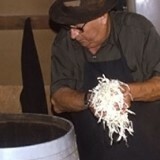 Bucky was very involved with the Watsontown Lions Club and enjoyed making the club’s sauerkraut each year. Like many other Hagenbuchs we have written about, Lauretta and Roberta need to be remembered for the pride they had in their Hagenbuch ancestry. They enjoyed talking about their parentage and family line which descended from Hiram and Mary “Orner” Hagenbuch. 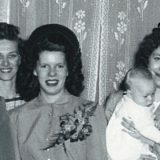 Even though they passed away more than 25 years ago, their family line with statistics and photos has carried on because they shared it with me when I was first starting my genealogical journey. Once again, it is a lesson for everyone to write down their stories, identify the people in family photos, and make sure they are given to someone who will carry on our rich and interesting family history. 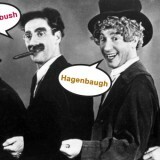 Previous story The Haugabook Family: A Lost Line of Hagenbuchs?